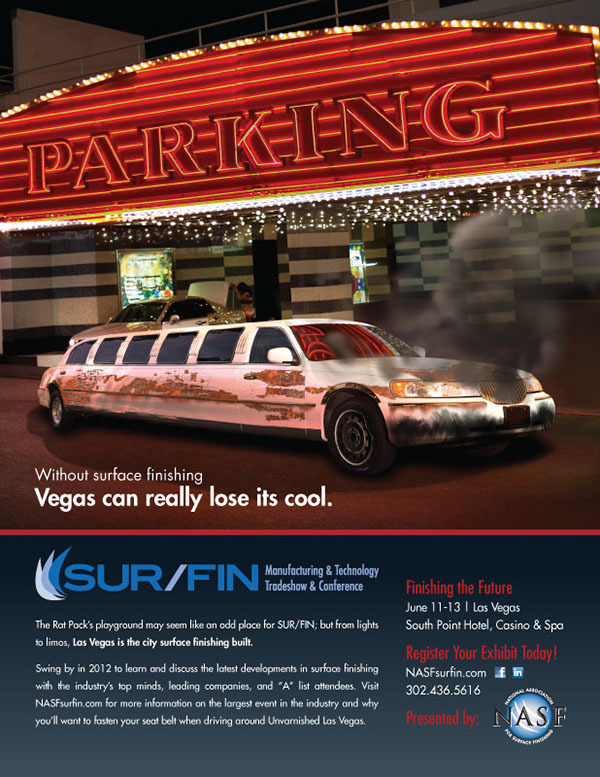 Much of the Las Vegas we have come to know and love, could not exist without surface finishing. 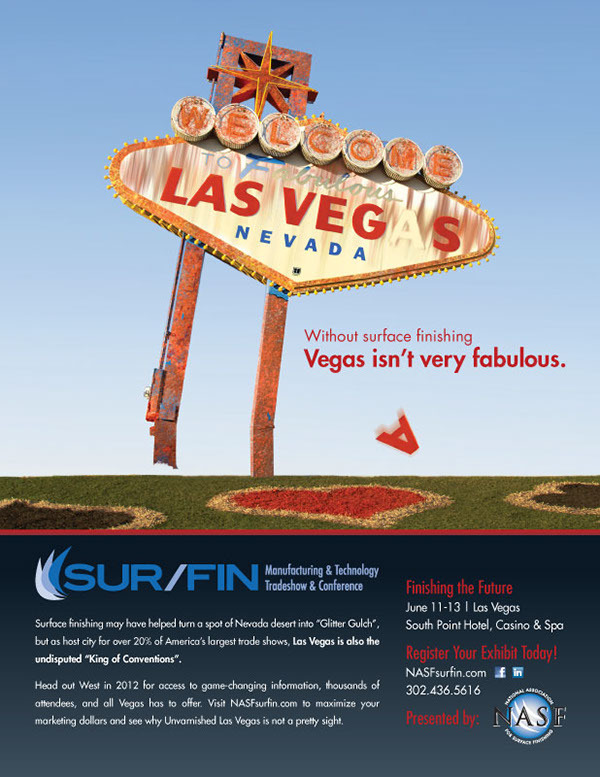 To highlight this, I imagined what the famous Las Vegas welcome sign might look like without surface finishing. Armed with information from the NASF Technology Advisory Committee I went to work destroying a treasured American landmark in the name of driving website traffic and show attendance! 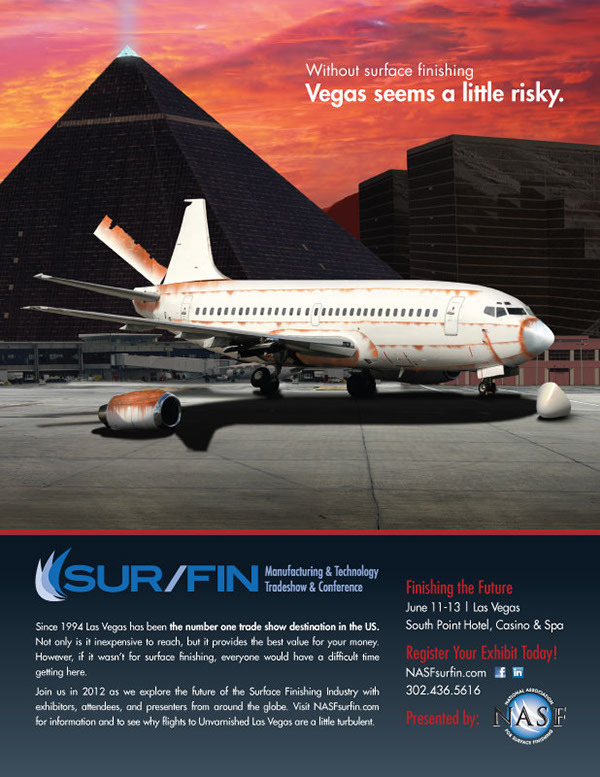 To follow up, I also created ads based around planes and limos to show that getting to "Unvarnished Las Vegas" would prove difficult without surface finishing to guide the way.